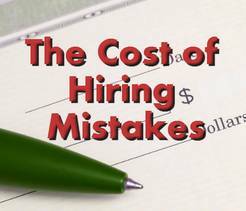 What Does it Really Cost to Make Sales Hiring Mistakes? - Hire Results Ltd.
Each time we visit a prospective client one of our questions for the Vice President of Sales is “What does it cost your organization when you make sales hiring mistakes?” The number of differing responses received back from the sales team leaders is quite fascinating. Sales organizations know that there is a cost to their sales hiring mistakes but few take the time to calculate the true cost and there are many reasons for this. Everything from not wanting to know the cost (afraid to know the real number) to simply not having the time to evaluate the numbers to determine the actual cost can be factors in this equation. Whatever the reason, there is a simple calculation that we guarantee will cover 80% of the true cost of sales hiring mistakes. We call this the Sales Force Risk of making mistakes when hiring the wrong salesperson. Firstly, ignore the small costs of the formula. These include: training (one day to three weeks), cost of manager’s time interviewing and shadowing the sales representative, recruitment costs (recruitment fees and advertising on online sites) etc. Like any good financial analyst, managers need to start to look at the large costs that are truly impacting the bottom line of the organization. These are the numbers that take up 80% of the value of line items in the financial expense columns. Here is the formula. Take the Expectations and subtract the Results (Expectations – Results). What does Sales Management expect the sales representative to produce in a given timeframe. Let’s take a timeframe of 12 months for this example. We will say the expectation (quota) is $1,000,000. We than want to look at what the salesperson actually produced – the results. For this example, let’s say $525,000 for the 12 month timeframe. The Sales Force Risk formula of Expectations minus Results would show an actual cost of $475,000 ($1,000,000 – $525,000). Sales Management needs to realize that this $475,000 cost was expected revenue that will never be recovered. The organization had planned expenditures around this salesperson actually achieving their sales quota. A missed sales target creates stress on all aspects of the organization. 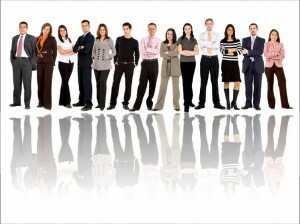 Naturally it is essential to be aware of the other numbers making up the 20% of the sales hiring cost but of greater importance is that each Sales Manager, Vice President of Sales, Human Resource Professional and President know that the 80% figure is vital and should be at the forefront of the hiring and retention discussions amongst the sales team. The best part of this cost of hiring formula is that it is quick, simple to apply and 100% accurate (on the 80% of the cost). Next time you hire a sales representative for your firm, keep this formula in mind. Let it be a reminder that all sales hires need to be taken seriously and that a process should be put in place that ensures every measure has been taken to guarantee you are managing the 80% risk factor of the hire.